Thanks Heather for alerting me to the fact that we already had pics of this pattern in other Galleries. While in Wellington last weekend, we were discussing this very pattern and trying to remember where it was used. I thought it might have been used in hospitals, does anyone know the answer please? 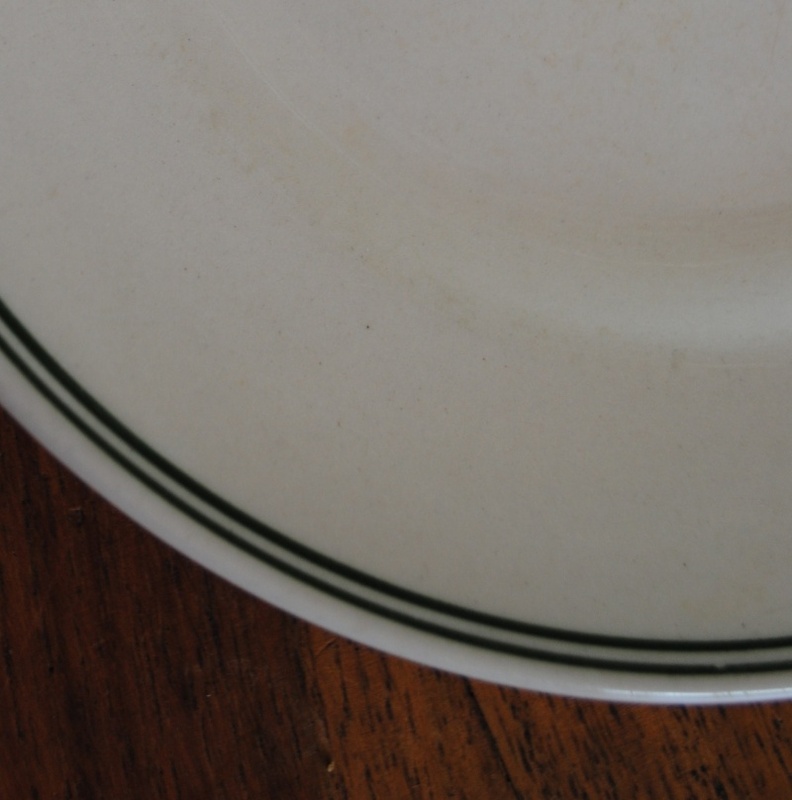 Jane has two entree (oval) plates that she uses all the time. You might be right about the hospitals...is there a nurse in the house?? We are all agreed the CL played copy cat with a lot of the ware, mainly copying or trying to imitate the British, hell down to backstamping some of their ware with the word "British". 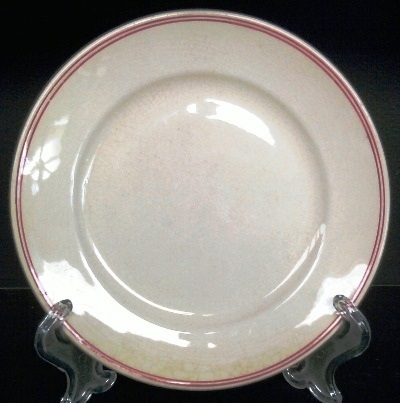 Well i have a number of British pieces with this same Double red stripe and it is all labelled Hotelware. and the majority of it was sold in New Zealand. So would it be too much of a push to think CL copied this too. 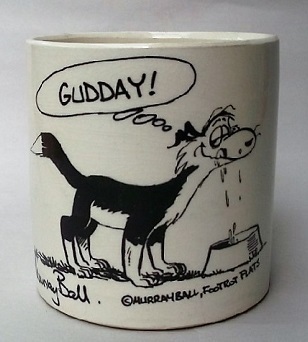 So with that I'm leaning towards it being Hotelware. 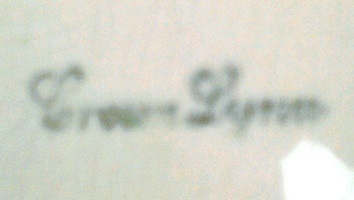 Is this Gibpat Crown Lynn? There is some more info that you may be interested in about GibPat. & Grindleys. 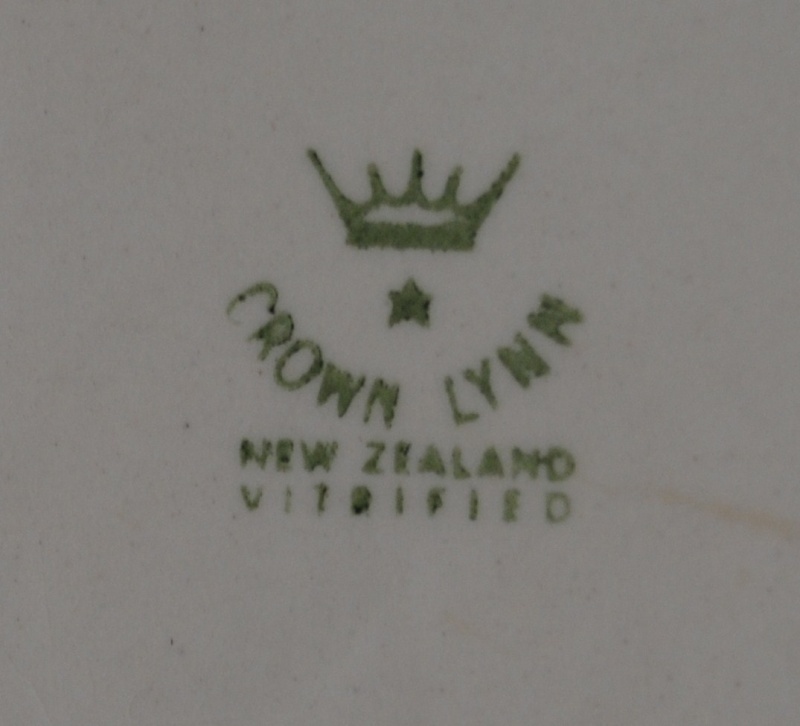 In my interview notes, the double red line ware is described by Tom Clark Jnr (a Crown Lynn chemist) as hospital ware, and by Tom Clark Snr as hotel ware. I think the hospitals all used it, but it was also most likely used in other institutions as well. 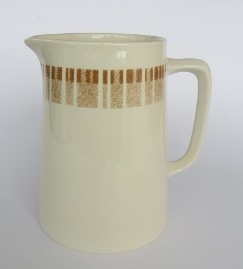 From 1978, the hospitals started using this ware with the upright bands of beige. I re-read your notes in your latest book and the link Jonno suggested- Thank you. The red line is quite plentiful and the green line seems to be quite rare, so I doubt if it would have been used to any great extent - so probably not in hospitals. I've put your 2 green lines photo into the patterns gallery thanks Janice, though I haven't come across it in the records. There is a 1 yellow line somewhere in the records I seem to recall. I have a plate with an orange line that I must post somewhere too.